The Kinsale branch, a cheaply built single-track addition to the Cork & Bandon railway, opened in 1863. The stations en route were Crossbarry (Kinsale Junction), Ballymartle, Farrangalway and Kinsale. The branch was one of the earliest closures after nationalization in the 1920s (it closed in 1931). 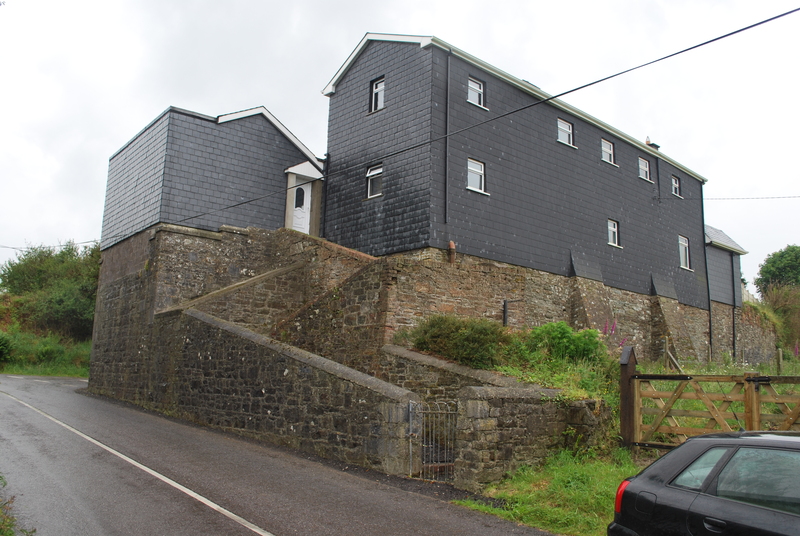 Below are four photos taken at or near Ballymartle station. 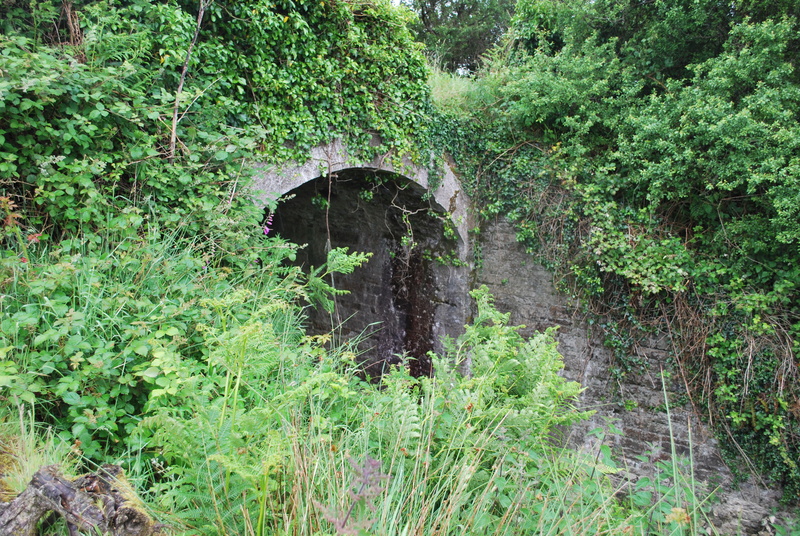 The first is a ruined farm road overbridge in the townland of Farlistown, around half a mile north-west of Ballymartle station (note: the Ordnance Survey map incorrectly shows this structure as an underbridge). The second is the station itself, recently renovated. As is apparent in the photo, there was a road underbridge adjoining the station – the span has been removed, but the abutments are still intact. The third is a V-shaped valley in the townland of Bawnleigh, around three-quarters of a mile south of Ballymartle station. 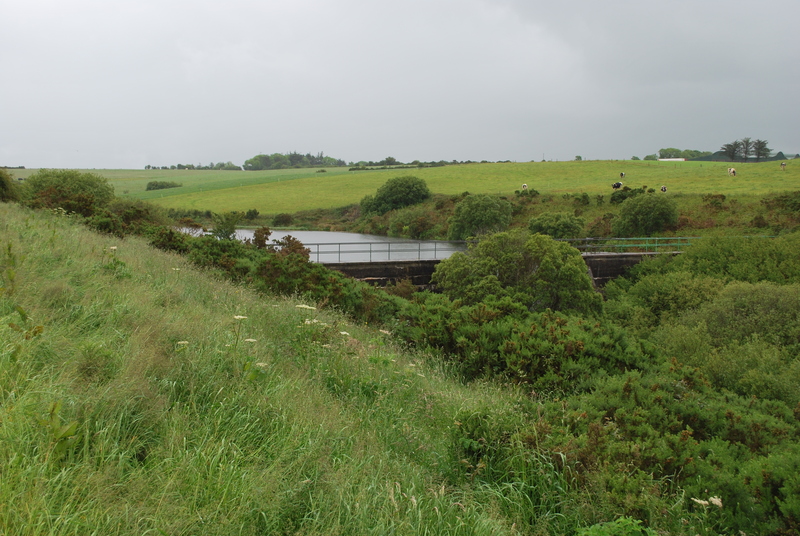 The railway followed the course of the river at the base of this valley – since the line closed a reservoir has been constructed. 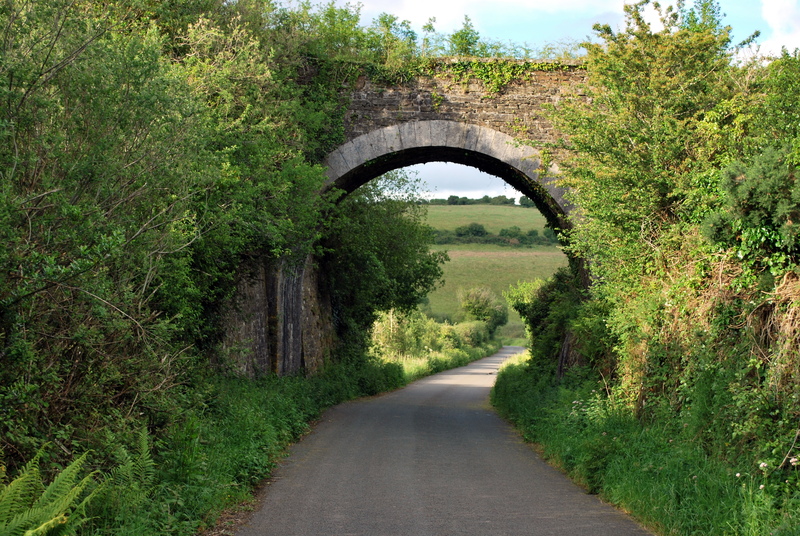 The last is a local public road underbridge in the townland of Ballyreganbeg. Through the arch is visible the base of the valley referred to in the third image.